Theory of double pawns is one of the most complex and important in chess. Extremely often double pawns are acceptable, or even strong, depending on the whole structure. One of the big distinction for double pawns is if they are isolated or connected with other pawns. This can make a lot of difference on how to deal with this particular and common structure. In this series IM John Watson looks at double pawns in an extensive and complete way. Double Pawns (10 part series) Theory of double pawns is one of the most complex and important in chess. Extremely often double pawns are acceptable, or even strong, depending on the whole structure. One of the big distinction for double pawns is if they are isolated or connected with other pawns. This can make a lot of difference on how to deal with this particular and common structure. 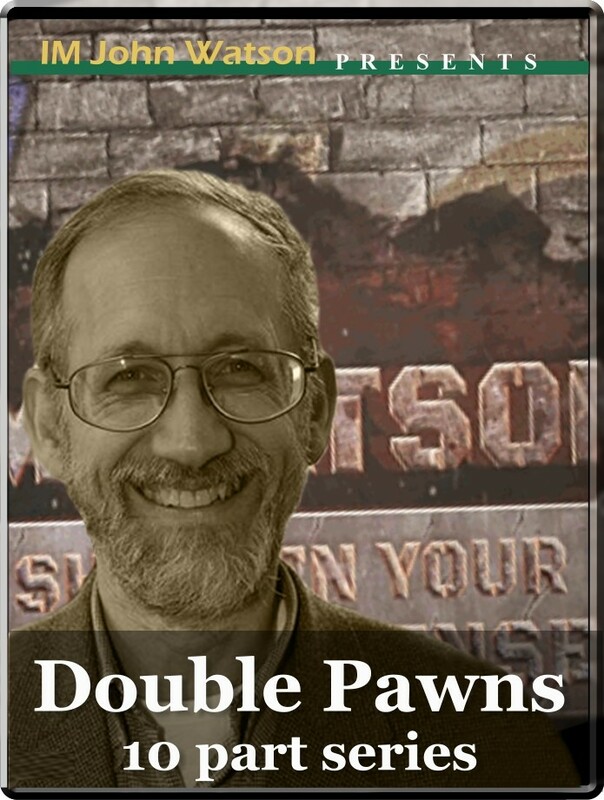 In this series IM John Watson looks at double pawns in an extensive and complete way.